Ever since James Folger got into the coffee business in 1850, Folgers Coffee has been building a sterling reputation for quality and consistency. 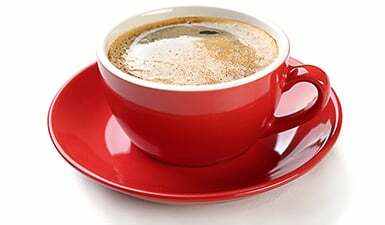 As the first coffee company to introduce “cup testing” to verify the quality of each shipment of coffee beans – now a standard in the industry – Folgers has been known for well over a century as a provider of high quality coffee, with superior taste in every package. With over 150 years in the business, Folgers has the weight of history behind their dedication to good, fresh coffee. And today, Folgers coffee is working globally to support farmers and the environment, to ensure their coffee is produced sustainably and responsibly, to benefit farmers today and our world well into the future. Whether you’re looking for tried-and-true Folgers ground coffee or more modern Folgers K-Cups, you’re sure to find what you want in our wide selection of Folgers coffee products. From a simple cup of smooth, classic Black Silk to fancy Folgers coffee flavours like Vanilla Biscotti and Caramel Drizzle to tempt your sweet tooth, it’s easy to find right kind of coffee to start your day off right. With over a century of experience to hone their flavours, you know that whatever Folgers coffee you put in your cup is one you’re sure to enjoy. Whether you’re looking for convenience or history, taste or sustainability, Folgers coffee is the right choice to start your day off well. From K-Cup pods to pre-ground coffee, you can stock up on ways to brighten your mornings and perk up your days with high quality, fresh-sealed Folgers coffee that’s backed up by 150 years of great tasting coffee and attention to detail and community. 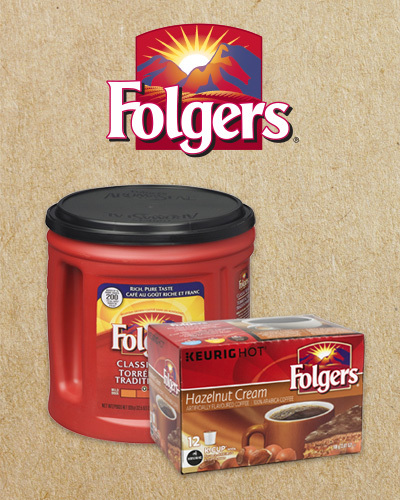 Shop our great selection of Folgers coffee products today!